Katie arrived to Back to Nature in summer 1999. She was purchased through the exotic pet trade. Her original owners needed to move and they no longer wanted to care for her. Upon new guidelines, Back to Nature does not accept exotic animals or surrendered pets. In this special case BTN decided to take Katie as a permanent resident to give her a better quality of life. She is now an “educational ambassador” to represent the responsibility and commitment needed to be an exotic animal guardian. 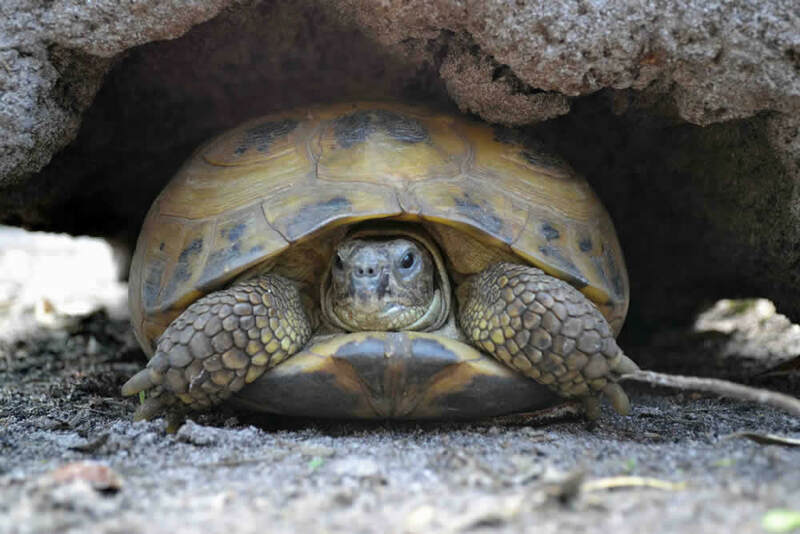 *Katie loves to play and hide in the burrows created by her buddy Crash the gopher tortoise. 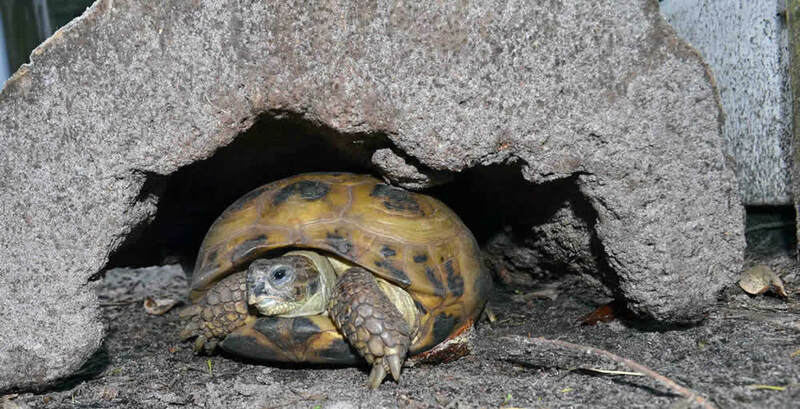 The Russian tortoise is a small tortoise species, ranging from about 13 to 25 cm, that is approximately 5-9 inches(13–20 cm for males, 15–25 cm for females). 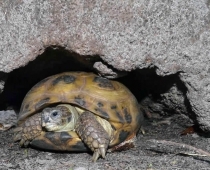 They are sexually dimorphic in that the females grow slightly larger, males tend to have longer tails generally tucked to the side, and females tend to have flared scutes on their shells, while males do not. 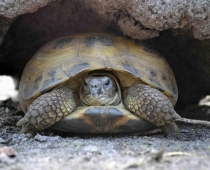 Coloration varies, but the shell is usually a ruddy brown or black, fading to yellow between the scutes, and the body is straw-yellow and brown. They have four toes. They are usually rather social with humans and commonly kept as pets. They can live to about 50+ years and often out live their owners, forcing them to be placed into sanctuaries.